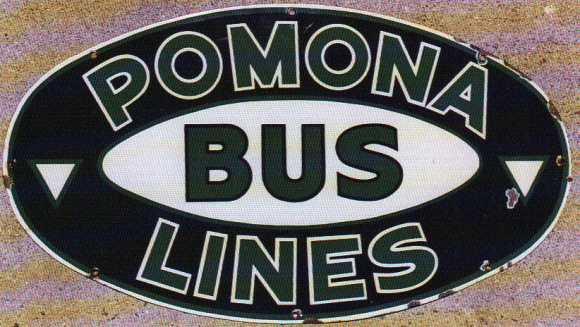 This is an oval Pomona Bus Lines porcelain sign. This particular Pomono Bus Lines sign is black and white with green text. It reads, “Pomona Bus Lines” and features two white triangles on either side of the sign.